This is what three puppies looks like! Terrific Pedigree and has her CHIC number too! 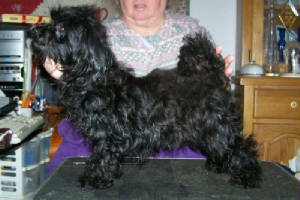 To see her pedigree, click on the link below, then click on "Pedigree" on her Gallery page. To get back to this site, just use the browser's "back" button.